ISLAMABAD (92 News) – Security Forces have on Friday apprehended two groups of terrorist facilitators during an operation in Dera Ghazi Khan. In a statement issued by the Inter-Service Public Relations (ISPR), on a tip off, the Punjab Rangers and Intelligence Agencies carried out a joint Intelligence-based operation in Dera Ghazi Khan and detained two groups of terrorist facilitators. Huge cache of arms and ammunition and LEAs uniforms were recovered from these gangs were also recovered from the two arrested groups. 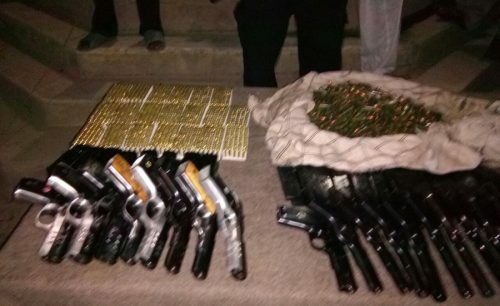 The weapons and ammunition were being transported for terrorist activities in major cities of Punjab and Sindh. The arrested groups also include women.